Heat oven to 350°F. Bake 1 package Pillsbury™ Ready to Bake!™ refrigerated chocolate chip cookies as directed on package. 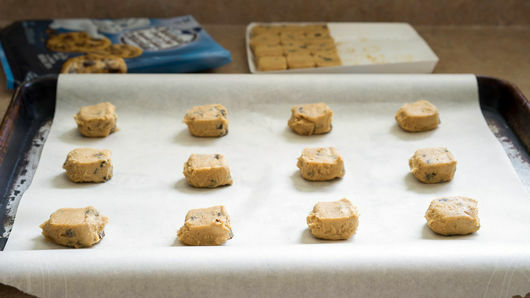 Remove cookies from cookie sheet to sheet of waxed paper; cool completely, about 15 minutes. 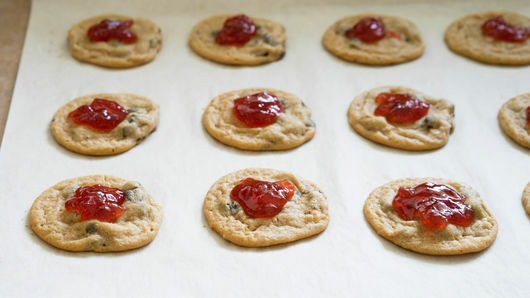 Place 1 teaspoon strawberry jam on center of each cookie. Melt 1/2 cup dark cocoa candy melts and 1/2 cup white candy melts separately as directed on packages. 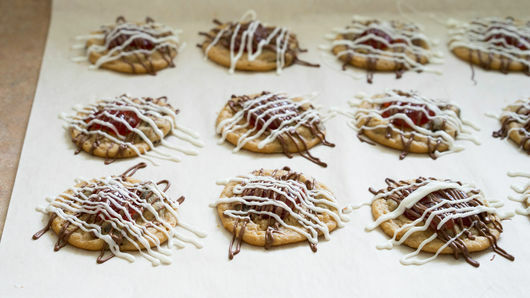 Drizzle both over tops of cookies, making sure to cover jam. Let stand to harden drizzled candy before serving. 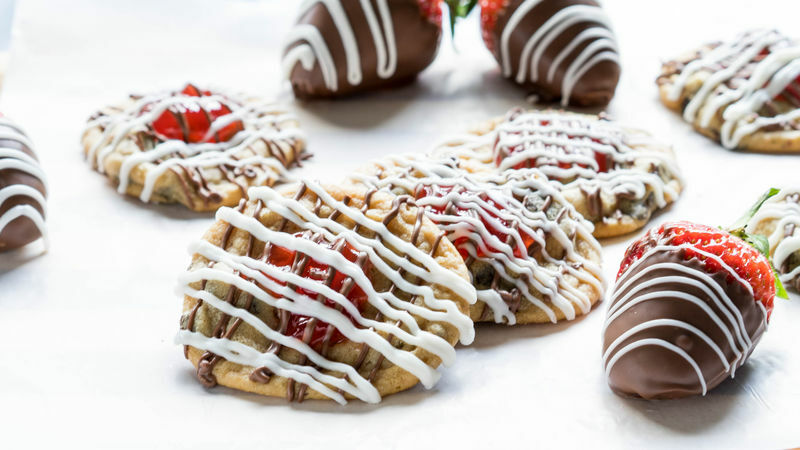 These cookies would also work well with Pillsbury™ Ready to Bake!™ refrigerated sugar cookies. To get a perfect drizzle of the candy melts, place the melted candy in a zipper-topped plastic bag, and snip off a small bottom corner of the bag.